The following is part 1 of a Q and A between Dr. Michael Salla and insider GoodETxSG, Corey. For part 2 and my further commentary on STO vs STS, click here. I found Corey's information about memory wiping particularly interesting and would like to share some insights. My own studies in the the nature of mind, suggests that as we develop more coherence in our thought patterns, they ground deeper within us, and require less mental energy to hold on to. Similar to the difference between memorization of a few facts, and deep personal knowledge. For example, the first language learned is often automatic in it's processes of recall and usage, so much so that most people think word meanings are inherent, opposed to learned, acquired or generated. Corey shares that when mind wiping occurs, some people are able to recover memories over time. He himself has full recall, whereas others can only gain access to memories via hypnosis or regression techniques. 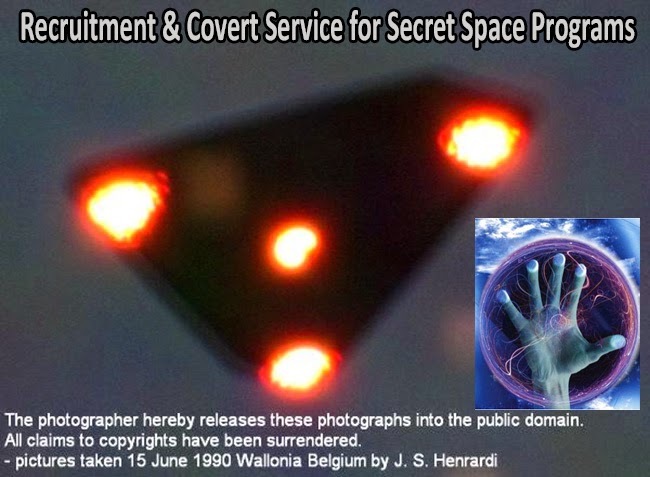 Corey was told by his handlers in the SSP, this is due to some people having "esoteric knowledge" allowing their memories to be stored in the "energetic field." Apparently a chemical memory wipe will work for most people, but some will recover memories over time, especially during dream time states, when we access to our 'energetic bodies' in the aetheric plane or unconscious mind is strongest. All of this, in my view, underscores the work of Dan Winter and Dewey B. Larson. Dan has been able to demonstrate that mental coherence patterns are directly related to our consciousness focusing abilities, memory being a primary example. The better one is able to focus their mind and replicate what is observed within, the more easily they can remember things. This can actually be measured with a device he invented called the Heart Tuner. Dewey B. Larson developed the Reciprocal Systems theory, and describes a physical universe divided into areas: Space-Time and Time-Space, with the speed of light as the boundary between them, so to speak. Motion below the speed of light operates in the material sector, and if energetically pushed beyond it, enters the cosmic sector. Briefly, space-time is the material sector, having 3 dimensions of space and one dimension of time. This is essentially the world we know in our everyday lives, where we act out desires and intentions in our bodies, within a continuous flow of time. The time-space or cosmic sector, has 3 dimensions of time and one dimension of space. This is the realm of mind, where we remember the past, observe the present and conceive of future possibilities. This aspect of our experience is within, and as such remains in one 'location' of space; hence 3 dimensions of time and one dimension of space. Unlike watching a film, which requires a complete play through from beginning to end in order to express the information contained in it, memories can be recalled instantaneously, with all of the data stored in them available to us, depending on how well we stored the memory. The unconscious mind remembers everything, while our ability to consciously recall data is dependent on our free will choices of understanding it, the contemplation and distillation process. When we desire something, we imagine it in our minds, and devise a of plan action within milliseconds, even though the physical motions require much more time to carry out. This all supports the notion that our minds are literally beyond space and time, in an "energetic field." This memory field, so to speak, is entrained, or receives information, from our senses and is deciphered as a synthesis of free will and the unconscious mind; our masculine and feminine aspects. When observation of something occurs, this data is received depending on where the attention is being placed, generating an image or memory pattern. As experience is gained, data is understood more completely, which creates a thought structure, or geometric pattern in time-space, that has been called an aetheric body, or mental body. This is a reflective process and works much like photography. A camera captures light reflecting off objects in a scene, and is reflected on to a photovoltaic plate, rendering an image in the likeness of the scene. The quality of the lense, and size of the plate, determine the images resolution, how accurate it is. The mind's lense is attention or focus, and the plate is the totality of acquired knowledge from past experience. This can be easily seen when considering language and memory. Words whether spoken or written are symbols for meaning, and are combined with other words to articulate ideas. During the learning process as children, we primarily gain word knowledge through association. Parents hold objects saying a word, slowly forming associations or images in the mind. At first these are isolated or surface level renderings, and as time goes on they begin to coalesce to form other ideas. Eventually allowing the child to speak the words, and observe what happens. Saying mommy creates the experience of mother moving towards the child, which is another association. At the end of the process, word meanings are recalled seamlessly, and as they are spoken, an image of the articulated idea is formed within the mind. This is the knowledge base, and it determines how well experience is reflected within. 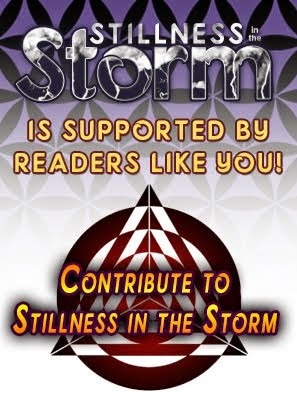 Given the fact the SSP program is a product of the Cabal, it is reasonable to assume that the term esoteric means occult knowledge, or stated more clearly, refers to a more complete knowledge of the universe then the average person. 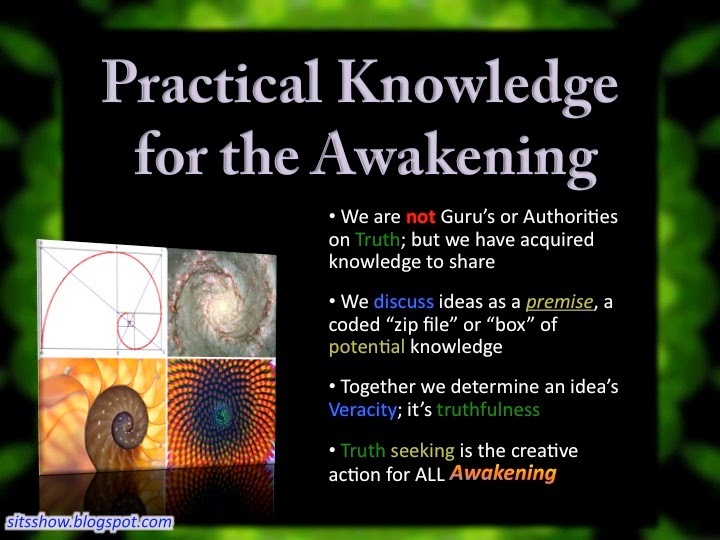 This does not mean someone has to be schooled in the occult, it simply means that their life experience and innate awareness level upon incarnation, along with their free will choices to 'make sense of the data,' allowed them to create a memory or mental body which is beyond the material, so to speak. This resonates strongly with Dan Winters work on immortality, and is the point I found so interesting. More complete knowledge will lead to a greater abilities to see reality for what it is, and therefore reflect it within the mind more clearly; a high resolution image vs low resolution. It appears that as this process continues, someone will be capable of creating a mental body so complete, that even destroying the physical connections in the material body is not enough for them to reform after time. If I am correct in my thought process, this mental body can even transcend death, and would be remembered later as a past life. Coherence or Fractality "as above so below, as within so without"
Coherence is the key concept behind all this in my view. Coherence is the level of organization within any given thing. A symphony has more coherence than death metal, which Dr. Emoto was able to demonstrate with his water experiments. A fractal is a pattern which has a high degree of coherence, and holograms are fractal or self similar informational geometries. Self similarity or Fractality are principles described in Natural Law and Hermetic Principle by the phrase "as above so below as with so without." Holograms are so good at storing information, you can cut them in half, and still have a complete image of the data which was imprinted; albeit at a reduced resolution, and are examples of fractal informational devices. The bliss experience is characterized by a high degree of awareness, or open mindedness, along with a conscious recognition that the experience is good, or desirable. This creates coherence patterns in the brain which allow information from the senses to entrain into the mind at a very high degree of clarity. This indicates that as we consciously choose to embrace life and experience it more fully, we are creating a mental body with greater levels of coherence and fractality. Our ability to understand data accurately and make sense of it via contemplation, empowers us to not only live happier more productive lives, but also gain so called ascended abilities, much of what is discussed in the Law of One and by GoodETxSG. There are 2 other articles covering Corey's information, which are linked below. 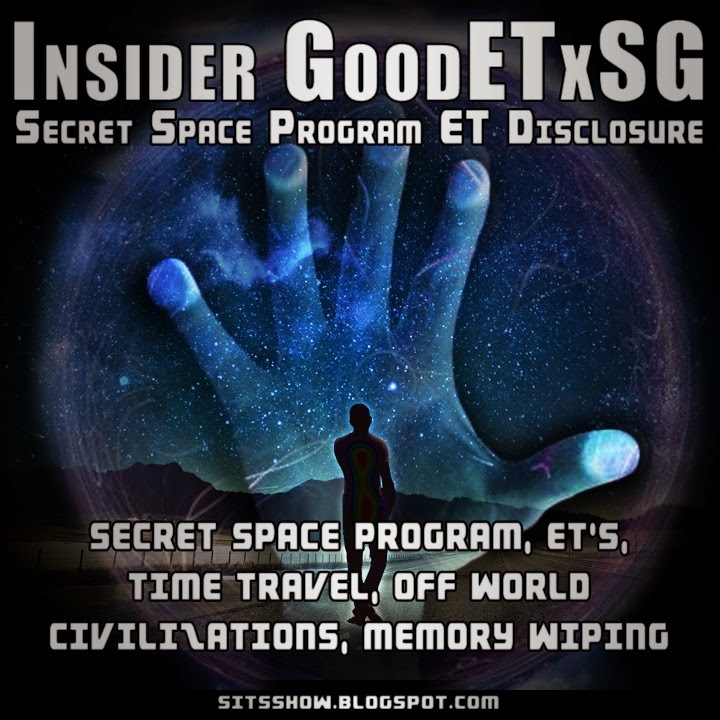 Corey (aka GoodETxSG) recently has emerged as a new source of information on multiple secret space programs and breakaway civilizations from Earth. In an earlier article I summarized his public testimony revealed through two internet forums and public presentations by David Wilcock on the nature of these covert programs. In a later article released on April 7, I presented Corey’s responses to a series of questions I emailed him. His answers revealed a remarkable degree of complexity in terms of the number of participants, programs and extraterrestrial alliances related to five secret space programs run by various military, government and corporate entities from our contemporary time period alone. I sent Corey a further list of questions on April 12 to clarify more aspects of complex dynamics he has outlined in his email responses to me, and questions he is responding to an internet forum called “The One Truth.” Corey kindly replied to my additional questions promptly with great detail and at some length. Consequently, the questions and Corey’s responses are divided into two parts. In part one, I ask Corey about his recruitment, the conditions of his covert service in several secret space programs, and his return to civilian life. After the Q & A, I offer a comparative analysis between Corey’s testimony and the testimony of Randy Cramer (aka Capt Kaye) concerning their respective experiences with secret space programs, and whether or not they support the veracity of each other’s testimony. Q. Which agency/program first identified you with Intuitive Empath abilities and began training you for eventual recruitment into a SSP? Q. What can you tell us about your formal training? When did it begin and how did your parents respond? Q. Please explain how you graduated from your IE training? Q. Please tell us the age you began your initial 20 year tour of duty, what year that was and anything you recall about the contract/non-disclosure agreement you signed? Q. Please explain what happened at the end of your 20 year tour of duty in terms of age regression, time-regression and being reintroduced to Earth? Q. Please explain how age-regression technology works, and its relationship to time-regression technology? Q. You have described in the forums that the blank-slate, mind-wipe technology was not always successful, and did not work on you. What was the policy of the SSP in such cases? Would they still honor contracts, take additional precautions in returning people to Earth? Q. After your return to Earth after your 20 years’ service to relive 20 years now as a normal civilian, how much could you recall of the first time-line involving your SSP service? Some or all of the memories? Did the memories return first through dreams, intuitive flashes, or just a knowing that they were real? Did you take any special measures to activate/regain your memories, e.g., accepting them as genuine, etc. ?